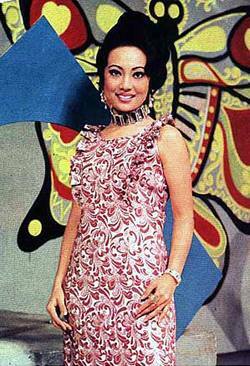 This Prissana Chabaprai movie page contains 9 records. Pen and Tong (Sorapong Chatree) meet each other in a bus going to Chiang Mai. Nobody knows the real reason of Tong arrival to Chiang Mai. He just comes to rest and to see a friend called Den. A few people are killed by a hitman (มือปืน) and acolytes in a pool club. Tong is witness of the murder. He shots one killer. Pen's business is also threatened by local mafia. Chiang Mai area is dominated by two local mafia heads. A lady called Gnam seduces Tong to know the truth regarding his visit to Chiang Mai but to no avail. Gnam is linked to mafia. The two mafia rings fight each other. 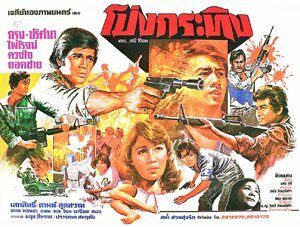 During a shooting at the Chiang Mai airport by another hitman, a young man called Suchai helps to protect Saichai, daughter of Somchai (Rith Luecha), mafia leader. Suchai gains the trust of Somchai. The two mafia leaders decide to unify their efforts instead of fighting. Gnam is killed during a fight between Tong and a ruffian. Finally Suchai gets information that both mafia team will gather in Don Pui area to sell drug. Gun fights happen between mafia and the police helped by Tong, Den and Suchai. Similar to a a Thai copy of Rambo II, Tong carries a huge machine gun with ammunitions over the shoulder. The movie features fightings shot with a Hong Kong action movie style. 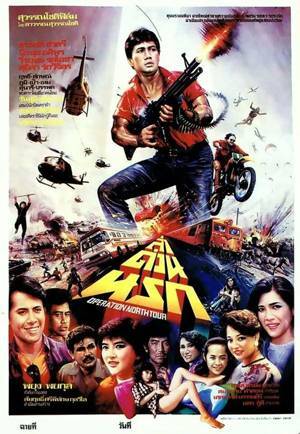 As often during such Thai action movies, it is revealed that the main characters were undercover policemen. 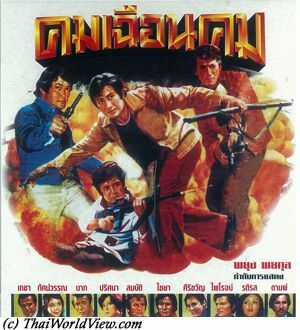 Many Thai action movies in 1980s decade include influence from Hong Kong movies and American movie Rambo II fighting style. 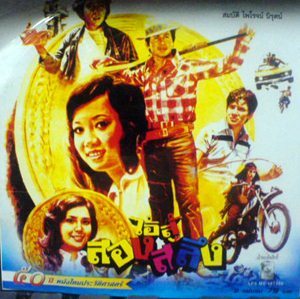 Thai movie นักร้องจ้าวนักเลง was released in year 1971. Main actors and actresses are Mitr Chaibancha, Luechai Natnat, Prissana Chabaprai. The movie is lost in Thailand but a sequence in 16mm format lasting 34s can still be seen. It is a song extract in 35mm format. Movie director is Payoong Payakul. 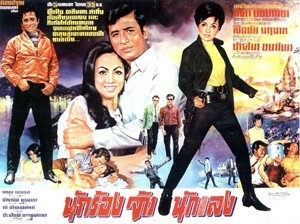 The movie featuring Mitr Chaibancha was shown one year after Mitr died. The cinematographic atmosphere was not good at that time as Mitr Chaibancha just died so only one copy of this movie was released. This movie couldn’t be shown in Thai provinces and it was not auspicious to project a movie with an already dead actor. The movie features five songs.